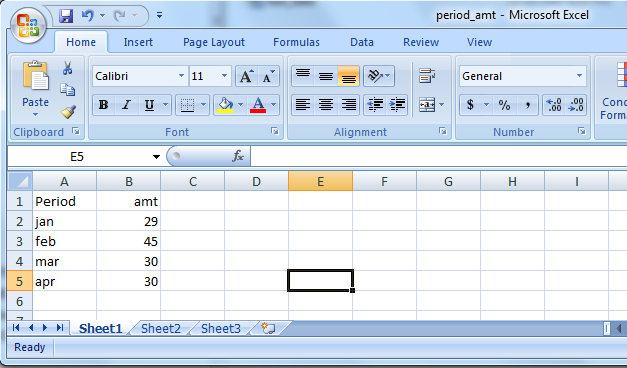 Microsoft Excel Files can be used as database to store information and this data can be visualized on the dashboards. 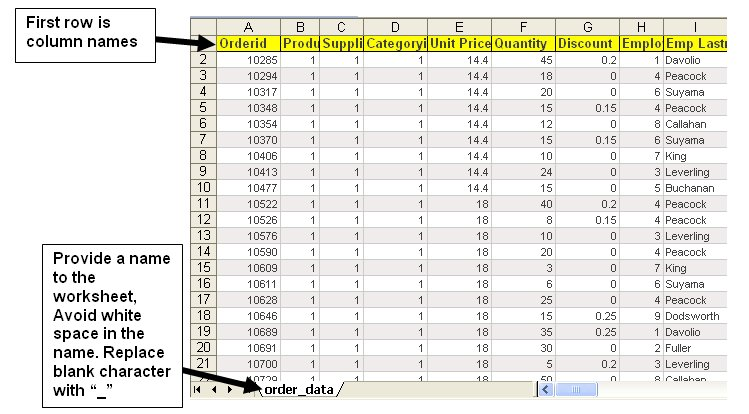 You can have multiple sheets within excel and each worksheet is treated like a database table. Click on "Add new Connection Entry"
Once clicked it will show the above successful message. 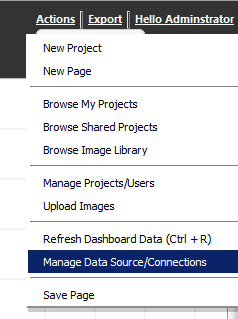 If you had a previous connection handle defined with the same name then it will overwrite it. 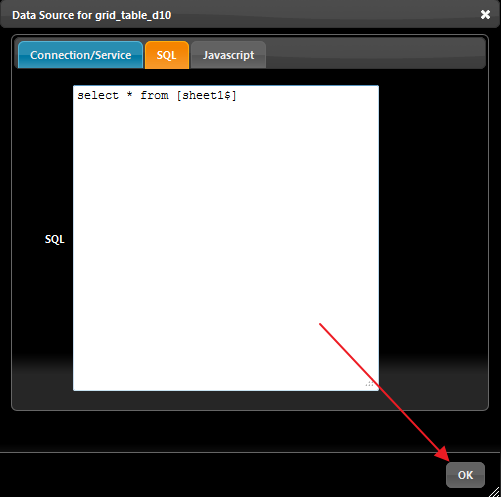 Right click on the Grid and select "Data Source"
NOTE: Before you execute the query make sure your excel file is closed. 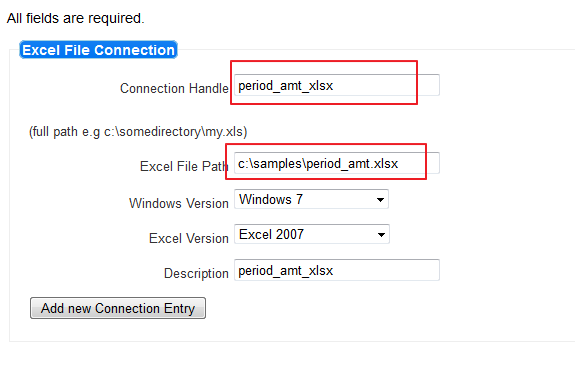 Excel files are locked when open and we cannot query it. So close the excel file. 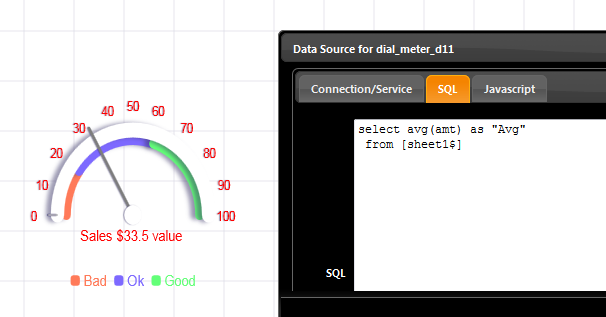 Each worksheet is referenced like [sheet_name$] and you can execute quite advanced SQL against this table. 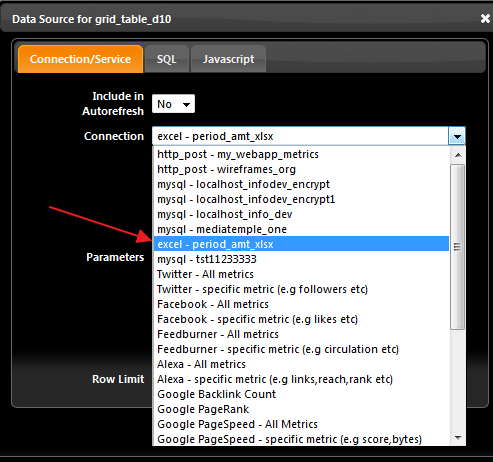 Right click to select "Data Source"